← What are the Various Functions of Firewall Solutions? Each day, the hackers are coming up with newer techniques to break into the systems. In such a background it has become essential for the businesses to deploy a wide range of security measures to tackle the data threats. However, the unified threat management (UTM) is a one-stop solution, a straightforward approach to deal with all the security issues in one go. At VRS Tech, we offer comprehensive UTM solutions in Dubai for businesses for complete network protection. UTM is a device that integrates several security tools like antivirus, anti-spyware, intrusion detection, network firewall on a single platform. All the businesses are required to do is plug in the UTM appliance into the network and enjoy a much secure network. Why do small and medium-sized businesses essentially need UTM solutions in Dubai? Dubai is a technology hub for small, medium businesses and large enterprises. 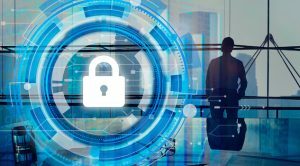 While the large enterprises can afford to set up a strong defense system to keep their financial data secure, the small and medium-sized businesses (SMBs), due to the financial constraints ignore the network security at large. Hackers leverage this fact and break into their networks quite easily and get their hands on the credit card details and other financial credentials. Here is where we come in. The SMBs can gain immensely with the UTM solutions in Dubai. How do UTM solutions work? Listed below are the key features of UTM solutions. • The network firewall that keeps the unwanted web traffic from entering into the company’s network forms the essential part of the UTM solutions. • Another important tool is the internet gateway security which basically scans all the web traffic entering into the local network for viruses, malware etc. • The intrusion prevention system (IPS) is another tool which is a part of the UTM. This prevents hackers from targeting the unpatched workstations and servers. • The UTM solutions also aid in automatically updating the latest antivirus definitions and security updates provided by the manufacturers. • The UTM also helps in maintaining a secure network environment when the employees connect to the company’s network remotely. • An uncomplicated, single platform security system which offers multiple security components with a centralized management system. • UTM solutions offer a wide range of security tools to choose from. The companies can opt for the security tools to suit their requirement. • UTM is a cost-effective solution to meet all the security requirements as opposed to purchasing separate security tools. • It offers an efficient and latest defense system to beat even the most complicated security threats. The dynamic threats like advanced persistent threats (APT) and polymorphic attacks which tend to keep updating constantly usually go undetected by the stand-alone security tools. UTM with its comprehensive framework is usually successful in handling such threats. • UTM solutions are not just efficient but are quick to nip the security threats at the bud. For consolidated UTM solutions in Dubai, contact VRS Tech at +971-56-7029840 or visit our website www.vrstech.com for more information. Posted in UTM Solutions Dubai.